"What If" We Made Space Travel Practical? Chapter 2: The Historical Issues and Decisions that Shaped Our Current Space Program. Our approach to going into space has barely changed since the initial design decisions were made in the 1950s and 1960s. The decisions, made during the Cold War era, were based on proving to the Russians that our rockets could reliably destroy Russian targets and thus provide a deterrent. The exploration of space was only a subterfuge. The space program became a victim of the Cold War mindset. Chapter 3: The Problem of Excessive Fuel Weight. The overriding issue determining the efficiency, practicality and recurring expense of a space launch vehicle is the excessive weight of the fuel. Often the oxygen fuel comprises 80 percent of a rockets total weight. This is quite a waste since the rocket is within the atmospheric during a large portion of the flight, surrounded by plentiful oxygen. If we switched to an air-breathing propulsion system, a dramatically lighter, smaller and less expensive launch is possible. Chapter 4: Air-Breathing Space Launch Systems―Is It Possible? Air-breathing ramjets are significantly more economical as compared to rockets. Intercontinental Mach-3 ramjet missiles were successfully tested in the 1950s. Is it reasonable to believe that today’s advanced technology could push this engine technology to deliver Mach-10 plus speeds in the upper atmosphere? If the flight envelope was adjusted to remain within the required air density for as long as possible, ramjets/scramjets could replace rockets in the launch boost phase. Chapter 5: Hypersonic Ramjets/Scramjets―the Magic Sauce. The key to an air-breathing launch is developing a practical ramjet/scramjet that can operate over a large range of speed and altitude–from subsonic to hypersonic. A hundred different traditional ramjets would be required to operate over that large range. A variable geometry ramjet/scramjet that changes its shape to form these hundred different engines is the key. This chapter proposes that we now have the technology to accomplish this daunting task. Chapter 6: Getting up to Ramjet Speed (The First Stage).Ramjets can’t move a vehicle starting from a standstill. Thus we need a “first stage” system to get the ramjet powered space vehicle up to starting speed. This chapter discusses various methods to accomplish this task. Chapter 7: A Lateral Ramjet―Describing a Different Type of Engine. The need for a wide range, low cost, mechanically simple, practical variable geometry ramjet/scramjet is absolute. This chapter discusses how new technologies, new materials, and new concepts can be used to dynamically change the proposed ramjet engine into a 100 different ramjets as it moves along the flight envelope. Chapter 8: Reentry and Recovery. A low cost and safe methodology must be adopted for reentering the atmosphere and for recovery of the spacecraft. The Apollo ablative heat shield, burned up on reentry, was a non-reusable, an impractical design. The Space Shuttle’s impractical ceramic heat shield required six or more months of expensive repairs and inspections before it could be reused. The chapter reexamines the issues and offers more practical solutions. Chapter 9: “Stinking Thinking” About Space Launch Methodologies. This chapter takes a critical look at some of the more complex and thus riskier and more expensive solutions being proposed for space launch. The need to keep systems simple is addressed. The need to carry less weight into space in order to reduce cost is stressed. Chapter 10: Putting It All Together―Describing a Different Type of Spacecraft. This chapter proposes a detail description of a proposed space launch vehicle called the Star Horse. Gone are the concepts of traditional rockets that are too heavy and waste too much fuel. Gone are the concepts of “space planes” that carry unneeded components into space. Gone are wings and wheels that have no purpose in space. Gone are curved shapes that are difficult to protect from hot reentry gases. Gone are the dangers from too hot atmospheric reentry temperatures. Gone are design compromises that result in too much risk and reduced safety. Chapter 11: Star Horse Concept Review, Reaction and Acceptance. Star Horse is a unique air-breathing propulsion system that operates over an extremely wide flight envelope. This chapter illuminates how it is far different from pervious systems that it is sometimes confused with, such as the NASA X-43A or the NASA X-51 WaveRider. Chapter 12: A Proposed Hypersonic Passenger Jet. By using technology similar to what’s being proposed for the Star Horse, practical hypersonic passenger airliners may be possible. They may even prove to be lower cost to operate on transoceanic flights than traditional jetliners. New York to London in 45 minutes? Chapter 13: OK, I’m Ready to Review More Details about Star Horse. This chapter is intended to answer some the more common questions about the Star Horse spacecraft. For example proposed vehicle size, safety issues and failure modes are discussed. 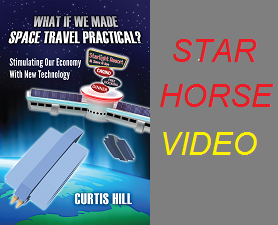 This chapter encourages questions and dialogue about the Star Horse concept. Chapter 14: How Do We Make It Real? … “The Proof is in the Pudding”. This chapter discuses methodologies for the Star Horse concept to go beyond this book and into the world of a real hardware. It points out some of the organizations that may wish to back to this dream and enumerates some of the initial cost. Chapter 15: The Final Word. New technologies and new methodologies could reduce the cost of space travel by over 95 percent. This in turn could bring an avalanche of new businesses and opportunities that can stimulate our economy. We need to reexamine the possibilities of space travel. The book “What If We Made Space Travel Practical” takes a critical look at what caused space program stagnation. Further it proposes detail techniques that could lead us out of this malaise. To order the book click here. We would like to keep you informed of the changes and advances in the Star Horse Project Community. Learn the latest advances and stay in touch. 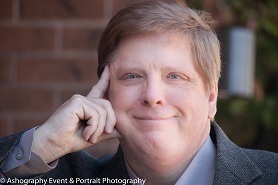 Click above to learn about the author. Chapter 4: Air-Breathing Space Launch Systems―Is It Possible?